Countdown to “The Ace Gets A Vacation.” Yes, I am just a few days away from a little R&R complete with balmy breezes and azure coloured seas. If you are a mom then you know that summers can be long (and time short). While I enjoyed every minute with my daughter, it’s time to begin the projects that have existed only in my vivid imagination. I have a lot of really fun projects I’ll be sharing including filming “The Inspired Table,” in the fall. Check out our developing garden segment, it’s going to be about outdoor spaces from around the world, and I’m excited to have a chance to share my passion. Unfortunately, at Casa B. we only have small pocket gardens, but I’ve tried maximize the space we have. My favorite spot is an area that I’ve nurtured into a miniature primordial forest, with ferns, spruces, mosses and pieces of wood that I’ve collected from around the country. Mostly off the craggy beaches on the Oregon shore, after collecting massive amounts of driftwood I packed them into U-Haul boxes and had them shipped cross-country (doesn’t everyone do that?). So where do I go for inspiration? To Instagram of course, and these are some of my favorites feeds that I visit often. While it requires a great deal of detective work to find worth accounts to follow, I think I’ve done just that. Their lives interwoven with color and creativity. A complete and utter love affair with gardens, a little dash of design and a sprinkle of home life. 1. @belles_decos– I can only assume the owner of this account has a love of misty countryside and centuries old European decor. It’s idyllic and dreamy. From the light streaming through a castle window to romantic gardens worthy of a Jane Austen cover. Oh, and the interior shots well you’ll have to see for yourself. 2. @sharonsantoni-Sharon’s life is a page from “A Year in Tuscany” just change the location to Normany, France. She has an obvious love for well-tended potagers, rustic market baskets filled with vibrant Zinna’s, and visit’s to the local Paris flea market. From countryside to the city, she shares snippets of her daily life and I’m so grateful she does. A picture of French nuns watching the sunset on a beach in Nice is a poignant moment that you’ll won’t forget. 3. @melissa_penfold-An author, journalist & style expert. 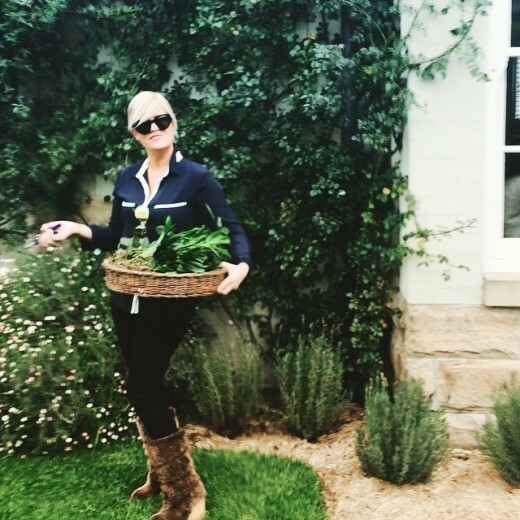 Melissa shares her love of gardens in this striking Instagram account. If pictures speak a thousand words then you’ll soon want to follow, and speaking of words, she shares her love of those too. Her captions offer a recipe for creating great design while sharing her passion for beauty, inside and out. 4. @cynthia_weber_design-If you love design with a little dash of home life then follow this down to earth IG’er. 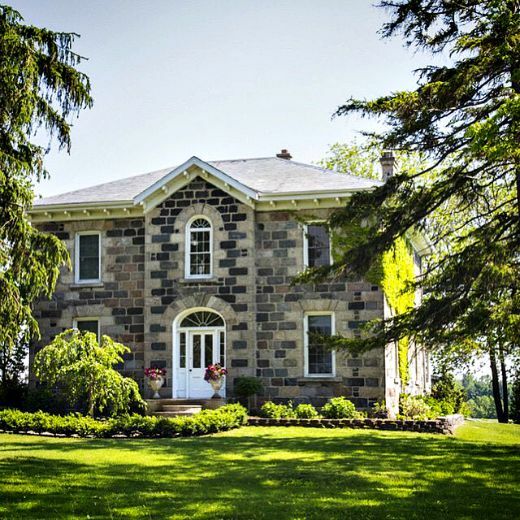 Her followers can spend a little time on the grounds of her historical farm in located in Huron county, Ontario without having to leave your couch. Melissa’s feed will tug at your heart strings and design sensibilities. Not only is she a talented designer, but a gal with a soft heart. She once cut a hole in a century old barn door so that Swallows would have a nesting place. Move over Martha Stewart. 5. 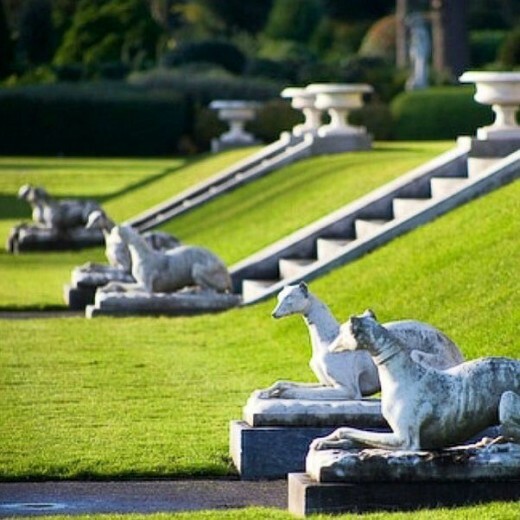 @thepottingshedbowral-So where do you go to get ideas on sculptured & formal gardens with a touch of whimsy? 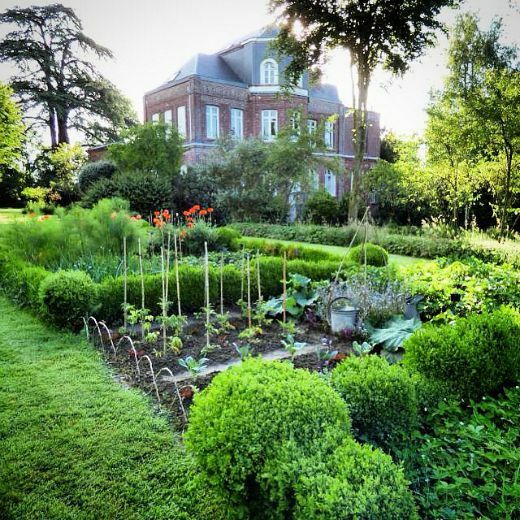 This IG account is a formal gardener’s dream. 6.groundedgardens The owners of this Instagram account work in and around Melbourne (the land of my beloved Australian Tree Fern). 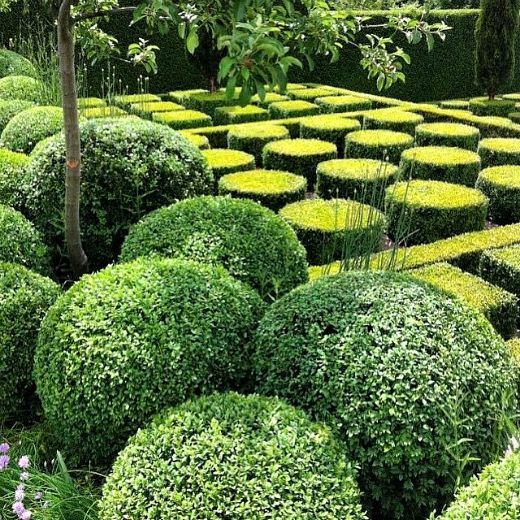 While most of the photos are of their own work, they also the share pics of others with a discerning eye worthy of experienced garden aficionados. You will also learn that Australia is not just arid desert landscapes, but lush foliage full of layered texture and interesting shapes. Reminding us that plants are works of art too. 7. 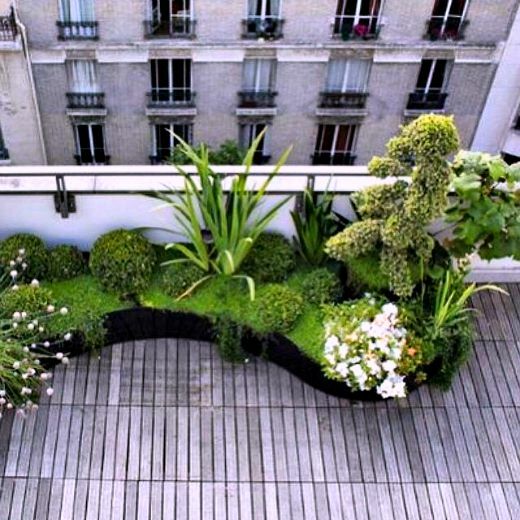 @debbytenquist Residing in the UK, Debbie shows us that gardens are part of a much bigger landscape, the perfect intersection between architecture and nature. 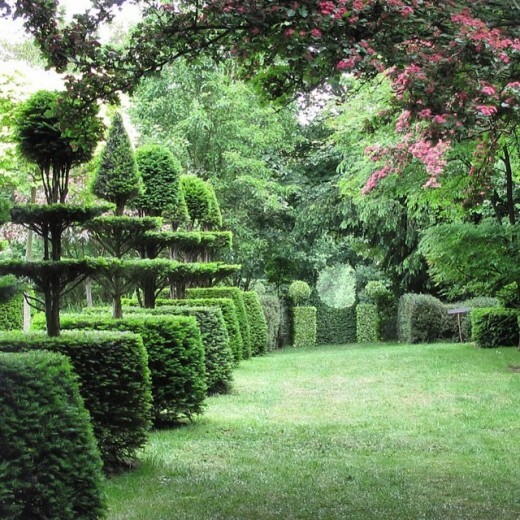 From mist shrouded graveyards to the mazes of Castello Ruspoli, it’s an education into some of the most well-known gardens of the world. 8. @thevelvetboxwood Cute puppies, an adorable baby, stunning landscapes and well-curated interior shots proves that our lives are cross-sections of beauty that we create inside our homes and in nature. 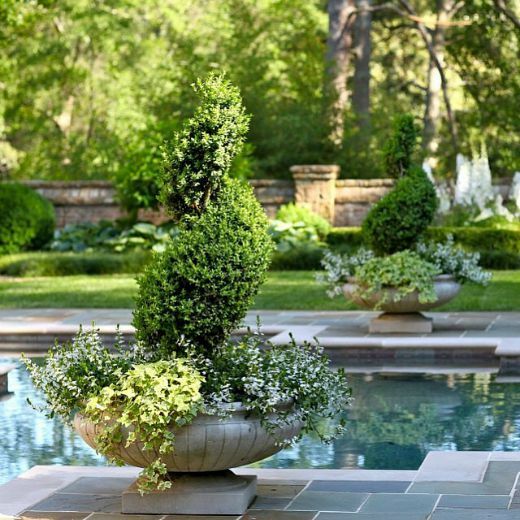 I hope you are as inspired by these Home & Garden IG’s as I am…follow their links to see more.